A PERFECT ADDITON TO YOUR CHARM BRACELET. 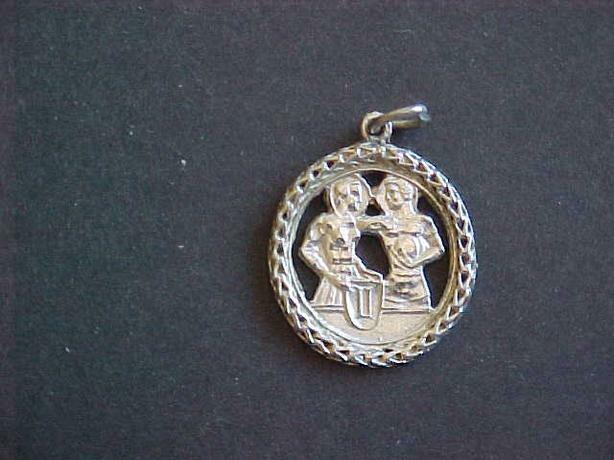 THIS GEMINI CHARM IS MADE OF STERLING SILVER AND STANDS 1" TALL WITH EYELET. IT IS IN VERY GOOD CONDITION. OTHER CHARMS ARE AVAILABLE.